3 Foot 24 Gauge HDMI Cable - Designed for HDTV Demands! New electronics adopting this technology to be released soon and this cable is Ready and exceeds the specifications! 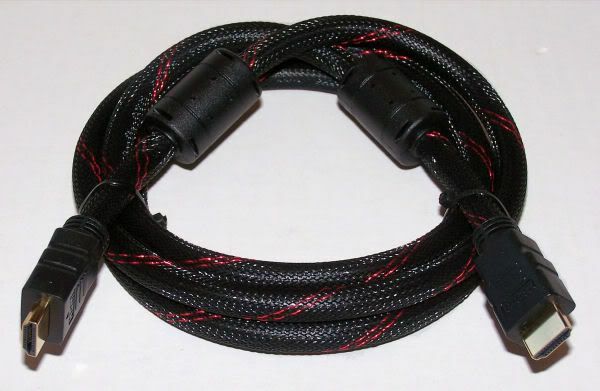 This cable is built to the very highest specifications This is a THICK 24 AWG Gauge HDMI Cable. If you have a Blu Ray, PS3, DVD, Cable Box or Satellite Receiver or another device outputting 1080p and want the very best look no further. Product information : Our HDMI cable incorporates HIGH - Definition Multimedia interface ( HDMI ) technology. HDMI provides an interface between an audio / video source, such as set top box, DVD player, PVR, audio video receiver and or a HDTV digital television. 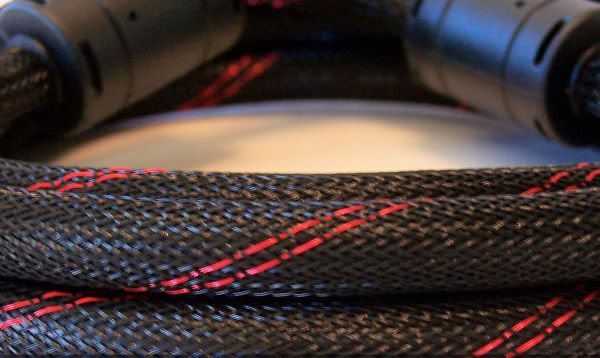 No games No shortcuts - We have quality cables! Full Mesh Jacket - We put it on as you normally find it on the high price name brand cables. Not that it will do anything but look pretty but we put it on. High Speed HDMI® Cable Compliant - Also fully backwards compatible to work with all previous versions. Cable provides you a path for the future Not only does it support all of the HDMI devices on the market today and that have been sold in the past, it also supports up to 1440p that is just starting to emerge in new products like Blu-ray disc players. With the FAST transfer rate of up to 10.2 Gigabytes per second. This will be a top of the line cable for a long time. HDTV’s are great but they have a lot of things going on inside of them. HDTV’s today basically have a mini computer running inside of them. Device hooking up to HDTV’s are in the same realm. Cable boxes and Satellite boxes that are DVR’s have a hard drive in them and are processing just like a computer. All of theses products then because of this have its own oscillators which can be a source of interference. Another source of noise or interference can be the cables connecting the devices. Cables act as nice, long antennae for the signals they carry. The cables can also receive signals and transmit them into the case, where they cause problems. A ferrite bead has the property of eliminating the unwanted signals. Essentially, it "chokes" the RFI transmission at that point on the cable -- this is why you find the beads at the ends of the cables. We won’t run now others seller’s cables. Ask the other sellers the gauge of their cable. We proudly show it so you can make an educated decision. All we ask is that you look closely at others offers. We sell quality certified HDMI cables that you will be happy with. Shipping - To anywhere in the United States. This cable ships USPS Priority mail so you should receive it in 2 to 4 business days.